Daniel Ricciardo says a lack of confidence in his Renault is to blame for his underwhelming start to 2019, as well as the fact that his overtaking has dried up. Daniel Ricciardo might not be doing a shoey for a while, but cricketer Andrew Tye has vowed to do one in honour of his countryman if his cricket team wins this year's Indian Premier League. Red Bull's Christian Horner could not resist an opportunity to kick Renault while it was down Sunday after the French manufacturer suffered a cruel double retirement in the closing stages of the Bahrain Grand Prix. Daniel Ricciardo enters the 2019 season with a new team, a new helmet and a new philosophy. But will it pay off? Daniel Ricciardo regrets trying to please too many people in his pre-Australian Grand Prix promotional activities as he feels it hampered his preparations for the race. Daniel Ricciardo admitted he was to blame for missing out on Q3 at the Australian Grand Prix but insists he has always had success in the race after a poor qualifying session. Daniel Ricciardo says it would be a pretty solid Saturday if he could replicate his seventh place finish from second practice during qualifying for the Australian Grand Prix. Daniel Ricciardo has marked the new chapter of his Formula One career with a stunning pink, green and blue helmet design, which he will use to contest the 2019 season. Renault's Nico Hulkenberg looks forward to challenging himself against new teammate Daniel Ricciardo in 2019. Daniel Ricciardo holds high ambitions for his future as a Renault driver, ahead of his first season with the team. 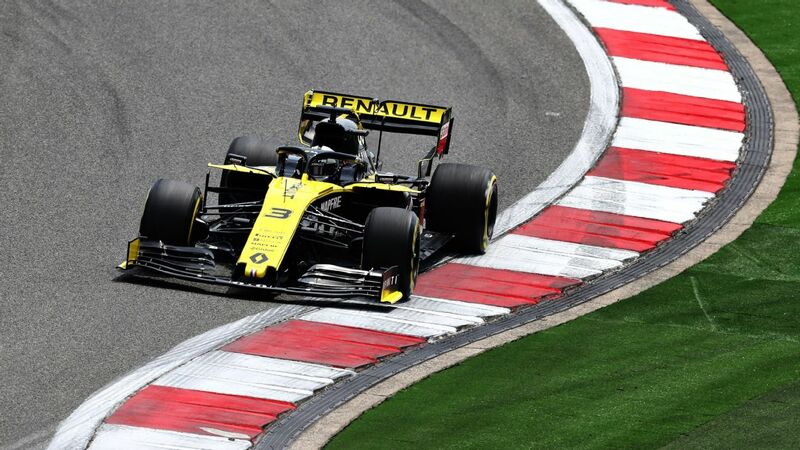 Renault reveals the car new signing Daniel Ricciardo and the retained Nico Hulkenberg will contest the 2019 Formula One season with. Mercedes, Toro Rosso and Renault release the sounds of their 2019 engines firing to life ahead of the new season. Renault has appointed former Michelin CEO, Jean-Dominique Senard, as its new chairman following the resignation of Carlos Ghosn. Daniel Ricciardo says he found it difficult and frustrating to work out which teams had genuine interest in signing him while he weighed his options in the driver market this year. He's now rated as one of F1's best overtakers, but uncertainty over that area of his race craft almost stopped Red Bull bosses promoting Daniel Ricciardo to the team in 2014. Daniel Ricciardo admits the process which led to him leaving Red Bull to join Renault for 2019 may have affected his preparation for some of the races leading up to the summer break. The head of Renault's racing programme, Jerome Stoll, is due to be replaced by Thierry Koskas on January 1, 2019, as the French manufacturer continues its pursuit of a Formula One title.